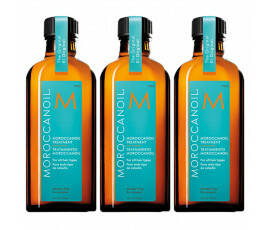 Moroccanoil Treatment is a hydrating treatment that can be used as a condotioner to style or finish all hair types. Amazingly blends with other products and enhances hair, reducing blow-dry times. 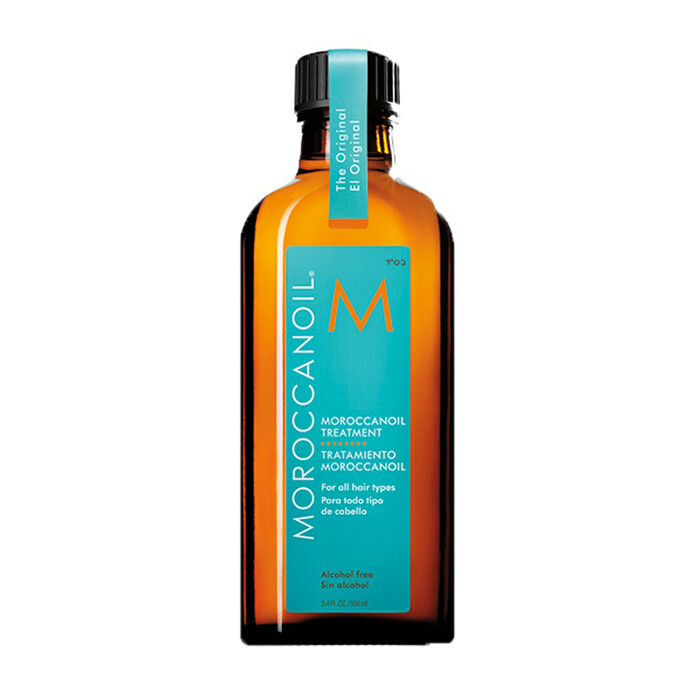 Moroccanoil Treatment completely restores and renews hair that are damaged by shampoo, colour services, perms, environmental agents and heat. 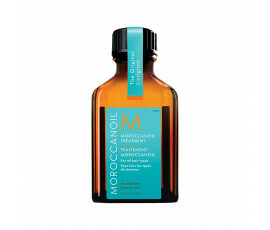 Thanks to its patented formula, this great product pioneered oil-infused hair care. Strengthens brittle and fine hair, leaving it shiny and manageable. Adds suppleness while renewing hair. Controls frizz effect and humidity during the blow-drying process. 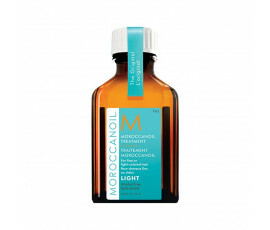 This fast-absorbing product instantly repairs hair that are damaged by heat, styling and environmental agents. This amazing formula restores lost proteins, fatty acids, omega 3, vitamins and antioxidants to hair, adding strength, shine and protection. Argan Oil restores suppleness, softness and manageability to hair, thanks to its fatty acids and antioxidants. Linseed Extract enhances hair leaving it healthy, thanks to linolenic acid. Cyclomethicone and Dimethicone are fine silicones derived from sand that smooth and protect hair without leaving residues and weighing down. 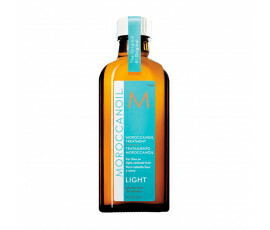 Apply Moroccanoil Treatment to wet or dry hair to style, finish and protect, reducing styling times. Apply a small amount of product to clean and towel-dried hair from mid-lengths to ends. Moroccanoil Treatment can be applied to dry hair after blow-drying to tame unruly hair or to smooth dry ends while protecting from frizz effect and environmental agents, such as sun, wind and humidity. Before colour services, apply 2 to 5 doses or more (depending on the hair type) to dry hair. Add 5 ml to any hair colour for maximum protection, shine and efficiency.